As the entire baseball world knows by now, the Mets had a deal in place to reacquire All-Star centerfielder Carlos Gomez for rehabbing RHP Zack Wheeler and infielder Wilmer Flores. The situation was a mess as the Mets left Wilmer Flores on the field Wednesday during the entire game with rumors swirling that he had been dealt. The Mets had concerns about a hip condition that Gomez had and pulled out of the deal. Brewers GM Doug Melvin was obviously not pleased with the deal falling apart and said he wouldn’t be discussing any more deals with the Mets during the trade deadline so Gerardo Parra will not be coming to the Mets either. The Brewers swiftly moved Gomez and RHP Mike Fiers to the Astros for a hoard of prospects. The whole ordeal was very interesting as we learned a few things about the current state of the New York Mets. 1. The Mets have the payroll flexibility to add another contract. Sandy Alderson was right last week when he said to reporters that he had the go ahead to add another contract to the Mets $100M payroll. That statement seemed highly unlikely to come to fruition even a few months ago. Gomez is making $8M this season and $9M next season in the final year of his contract. While that is reasonable for a player of his caliber it seemed highly unlikely the Mets would be able to take on that kind of money when the season started. The Mets have also discussed a trade for Jay Bruce who will earn $12.5M in 2016 and has a $13M club option for 2017 and while they may need to be creative to fit that contract on their financial books, perhaps this club isn’t as broke as they have been in previous seasons. 2. The Mets are more than willing to trade Zack Wheeler. Zack Wheeler’s name had surfaced in trade dialogue with clubs such as the Rockies and Cubs over the winter in the Mets never ending search to acquire a hitter. Conventional wisdom said with his value down after spring Tommy John surgery, the Mets would hold on to Wheeler at least until his value was back up. That no longer appears to be the case as the Mets have discussed moving Zack with nearly every club that has a middle of the order hitter available. At this point it would be a surprise if Wheeler made his return from Tommy John with the Mets. The Mets have been very impressed with the work of pitching prospect Michael Fulmer and believe Wheeler is now expendable. 3. There is a serious miscommunication problem between Sandy Alderson and Terry Collins. 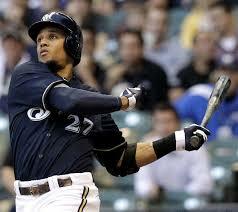 When Brewers GM Doug Melvin sensed their was a chance that the Carlos Gomez trade could get done he notified his manager Craig Counsell immediately to let Gomez know. Most organizations believe it is important to keep the manager in the loop by not Alderson. If anything it was more important for Alderson to relay that information to Collins than it was for Melvin as the Mets were in the middle of a game and Flores should have been removed from the game immediately to prevent an injury. Collins was visibly frustrated in his post game interview and really had no idea that a trade was possible until a player during the game told him Flores had been crying. 4. The Mets believe their window to win is right now. The Mets have made more trades to add players this week than they had made in Alderson’s 5-year history as Mets General Manager. They have been in talks on seemingly every hitter and seem very determined to get one. At this point it would be a surprise if the Mets didn’t add some kind of bat by 4:00pm Friday. The Mets aren’t worried about putting players like Michael Cuddyer or Juan Lagares on the bench despite their contracts. In previous seasons the Mets may not have acquired a corner outfielder if they already had one struggling on the team with a large contract, They seem to understand that Cuddyer isn’t working out and instead of getting him healthy and then making sure he plays everyday, the club is more focused on upgrades. Having said that what is next for the Mets? Just when you think the Mets were ready to turn the corner more bad news strikes. After learning days ago that LHP Josh Edgin will have Tommy John surgery, we learn today that RHP Zack Wheeler has a torn UCL and will likely have TJ surgery as well. When will the hits stop coming to this poor snakebitten franchise. Terry Collins and company didn’t even feel it was necessary the other day to give Wheeler the MRI since he just had a clean one over the winter. 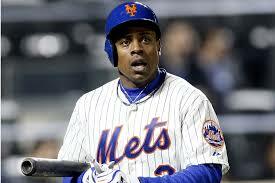 It’s just very disappointing news on what is expected to be a better season for the New York Mets. While Wheeler looked primed for a big season (I suggested the club should give him a contract extension a few months ago) there are a few small positives about the timing of this news. First off since the Mets overvalued Dillon Gee’s market, he is still here and can now slot into Wheeler’s spot in the rotation. Next since Wheeler will likely his surgery sometime next week he would be on track to return to the majors next April, barring a setback. Finally because of the starting pitching depth on the major league and the minors league rosters this won’t kill the Mets season just yet. Although one more bad piece of injury news and they could be done for. Nevertheless this is still very bad news for a young team trying to breakout. Now even more pressure is on Matt Harvey, Jacob deGrom and now even Jon Niese to carry this club. 2015 Mets Season Preview: Good enough for the Postseason? The depth on this team is truly the difference maker. If a key player goes down to injury the team now has a young player with upside able to fill in at many positions instead of having to dip down in Vegas to find a 30-year old “quadruple-A” player like in previous seasons. 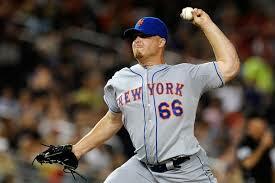 The starting rotation will be this clubs strength but it will be very intriguing to see how Terry Collins handles it. The entire coaching staff will have to be ultra creative in stretching Matt Harvey’s 150-160 innings across the entire season. The team originally planned on Harvey skipping the first week and starting the home opener, but that plan has been scrapped. Zack Wheeler remains a work in progress and can come undone quickly so the coaching staff will have their work cut out for them. This young right-hander must learn how to get batters out on fewer pitches or he isn’t going to be able to go deep in games often. Along with that the team will have to decide if Dillon Gee should enter the rotation should Bartolo Colon struggle early in April. 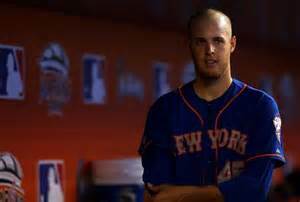 The growth of these young pitchers will be how I judge Terry Collins and Dan Warthen in 2015. The Mets lineup is pretty set except for the fact that the team plans on using Lucas Duda everyday, even against lefties. That would be a huge mistake as Duda hit .180 in 125 plate appearances in 2014 vs. LHP and is a .212 career hitter against southpaws in five big league seasons. Duda would be much more effective strictly against RHP. Plus the Mets have a huge weapon on their bench against left-handers in John Mayberry Jr., who has crushed lefties throughout his career before last year, when he struggled against all pitchers. How Collins handles Mayberry Jr. will be one of the more underrated elements to this Met season. 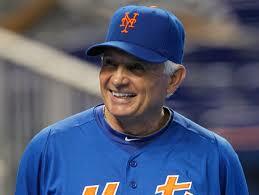 Lastly this Met bullpen will be the best Terry Collins has had in New York as he enters his fifth season as Met manager. The one concern he may have is that he only has one left-hander in his ‘pen. If Josh Edgin struggles this bullpen could become a problem. The key for Edgin is keeping his velocity up. Edgin averages 93 mph on his fastball and he doesn’t have the stuff to get left-handed bats out should that drop even a tick like it did last spring. This team clearly has more talent than in years past. While Alderson didn’t do much over the winter (or any winter as Mets GM), sometimes the best move is the one you don’t make. Alderson and his staff look very wise to have hung on to all of their young pitching over the last few seasons although it would have been nice if he added another left-handed reliever. To me, this team looks like a playoff contender that will likely fall short of the postseason in the end thanks to a poor defense and an inability to add that one key bat they likely will need at the trade deadline. This team will finish with 84 wins and will play meaningful games down the stretch. The Mets have a very bright future. How many wins will the Mets have in 2015? The recent trend in baseball is locking up young stars to long-term deals before they are eligible for arbitration, let alone free agency. These deals are usually very team-friendly, such as the Rays contract with superstar Evan Longoria. Longoria received a six years $17.5 million during his rookie year in 2008. Tampa got a superstar that they drafted on the cheap through his prime and Longoria got financial security. It doesn’t appear as if those deals really exist anymore. Last winter the Atlanta Braves locked up young star Andrelton Simmons to a seven year $58 million contract. Simmons is still a work in progress with the bat and wasn’t even arbitration eligible until this winter, hardly a discount. I’m a big fan of Simmons but for that price they may have been better off going year to year. The point is by the time these players are in their 3rd or 4th year and have established themselves; they are already a fortune to keep. There just doesn’t seem to be hometown discounts anymore. Another Braves player, Julio Teheran just got over $30 million after just his rookie year. This doesn’t bode well for the Mets and some of their young talent such as Zack Wheeler. Unless players get locked up during their first two years, they seem to be getting monster contracts. 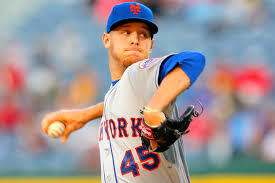 Wheeler in less than 300 big league innings has already proven to be a quality starting pitcher in the big leagues. That means it’s already time to get paid. 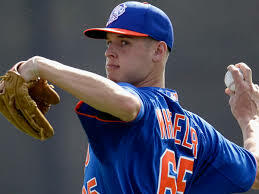 The good news is Wheeler,23, won’t be a free agent for five more years, but let’s just say he establishes himself in 2015 as a top of the rotation pitcher. After the season he can tell the Mets he won’t sign long term for under $60 million or so. Another season it goes to $75 million or so and will continue to escalate. Wheeler was 8-3 with a 2.71 ERA over his last 16 starts of the season. Homer Bailey of the Reds got six years $105 million last year, not because he is a great pitcher but because he eats innings and was one year away from free agency. Money in baseball is getting out of hand and it is up to the Mets to lock up some of their young talent now like the Braves are doing. The Mets did a good job of this a few seasons back when they signed Jon Niese to a five-year contract extension. Niese looked promising but with all of his injury questions he was hardly a sure thing at the time. 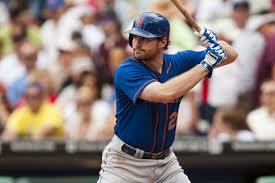 If the Mets brought that contract to Niese today, he for sure wouldn’t sign it. 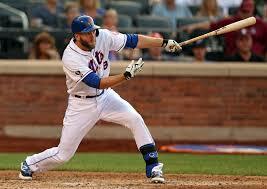 Now Niese is a young left-handed pitcher locked up long-term and could bring a good return in a trade. If the Mets wait a few years, players like Wheeler or even Matt Harvey may decide to just go year by year in arbitration until they hit free agency where they will sign elsewhere for significant dollars. A six year contract worth around $40-45 million with a couple of team options would give Wheeler the security he is looking for while ensuring that Wheeler will be a Met throughout his prime.